Prime Minister Dr Keith Rowley speaks at a conference to respond to allegations made against him by Oropouche East MP Dr Roodal Moonilal in relation to the Petrotrin fake oil scandal. He was accompanied by his attorney, Michael Quamina (left). 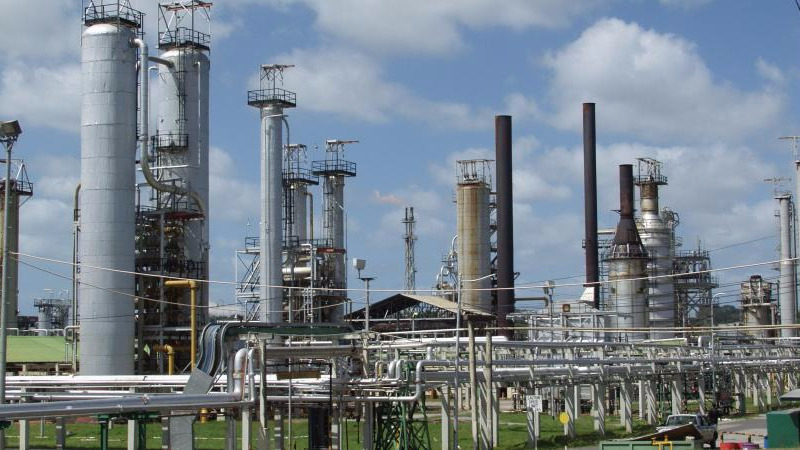 Prime Minister Dr Keith Rowley has denied that there is any truth to allegations that he was the beneficiary of payments from A&V Drilling – the company at the centre of the Petrotrin fake oil scandal. Speaking at a conference in Parliament on Tuesday in relation to the claims made against him by Oropouche West MP Dr Roodal Moonilal, the Prime Minister described the MP’s assertions as a “monstrous lie” and a “fabrication”. 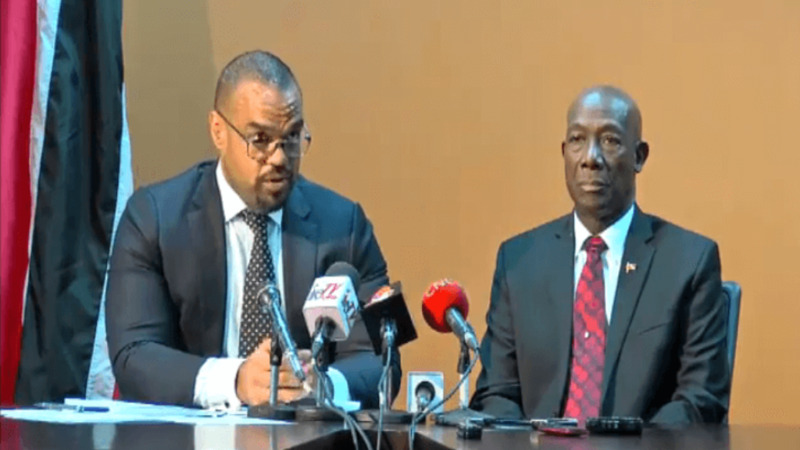 Rowley is now calling for independent investigations by the Police Service and the Financial Intelligence Unit (FIU) “as a matter of urgency”, the findings of which, he said, should be made available to the public. Further, he has instructed the Attorney General (AG) to seek information from authorities in Miami through the Mutual Legal Assistance Treaty. “I have instructed the Attorney General to use the Mutual Legal Assistance Treaty to communicate officially from Trinidad and Tobago with the authorities in Florida to pursue the statements made and documents quoted from by Dr Moonilal yesterday in pursuance of confirmation of any and all allegations made by Dr Moonilal in the Parliament yesterday and that the Attorney General would do this with dispatch and make the responses available to the public of Trinidad and Tobago,” he said. The Prime Minister categorically denied that he conducted any business with anyone in Florida. 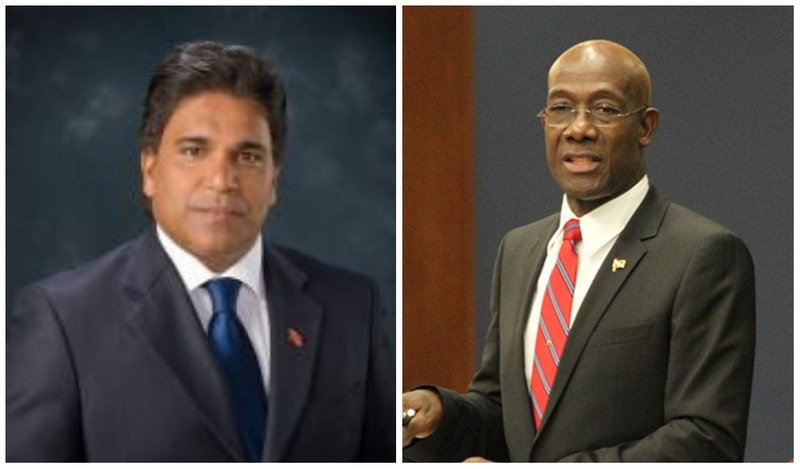 Rowley said the MP’s claims had no basis in fact, adding that the Opposition has been “persistently attempting” to link him to AV Drilling’s business and Petrotrin’s business with the private contractor. He denied having any relationship whatsoever. Also present at the conference was Attorney Michael Quamina who is representing the Prime Minister’s interests in this matter. Quamina indicated that legal action will be taken against Moonilal as he said the statements uttered in the Parliamentary chamber while bound by Parliamentary privilege were repeated outside of Parliament, as they were copied in subsequent Facebook posts. “We are firmly of the view that Dr Moonilal has, in fact, by his activities after the sitting last night, done actions that amount to a repetition of the statement. We are certain that our research will demonstrate that everything presented yesterday is in fact false,” Quamina said. The attorney warned that legal action will also be pursued against "paid bloggers" found to have made disparaging comments against his client as their comments are not bound by Parliamentary privilege.